Around the end of December/beginning of January we'll stop milking completely and wait to milk again until the Spring when the goats "kid" (give birth). The three month break gives the girls a chance to rest and focus their bodily energy on growing strong and healthy kids for Spring. It's also colder outside, so the more of their caloric intake that they can keep within their bodies the warmer they'll be (putting on the holiday pounds and not feeling bad about it). Our style of dairying is called "seasonal dairying". We try to have all of the goats "kid" around the same time in early spring (March/April). We'll milk from April through December and then everyone gets a break, including us. Seasonal dairying used to be the norm for milk producers. Most dairy farmers would choose the winter months for a rest. The grass stops growing as fast and it's really cold outside. Timing births for early spring also makes sense, since that's when grass growth is the strongest. Back in the day, milk production would plummet in the winter and prices would go up. Certain dairy farmers would find it more profitable to milk at a time of low supply (and higher prices), so milk would usually be available, but just not as much. Over time the industry was pressured into year-round milking, which was made possible by the growth confinement (or California-style) feeding operations and the industrialized food system in general. The government didn't like to have variability in milk supply and milk prices. For us that doesn't really work. 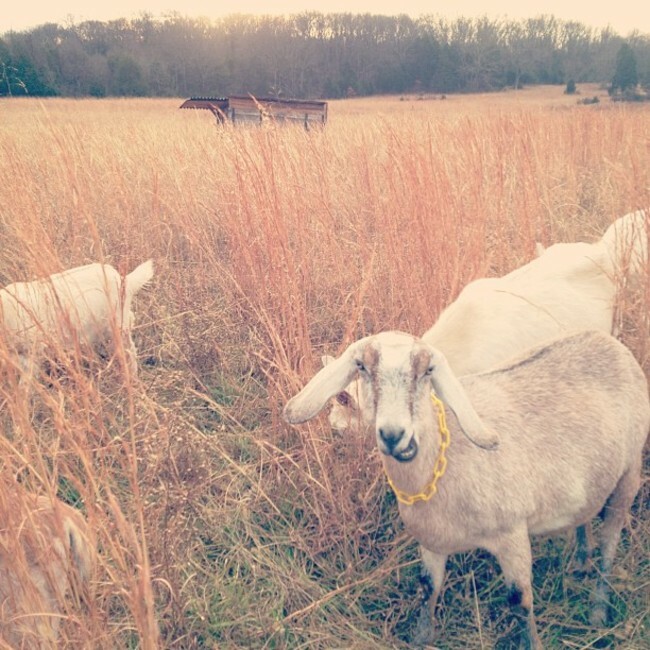 We rely on grass and forage for 90% of our goat's diet. During lactation the goats have higher nutritional needs and in order to meet those needs in the winter it would require bringing in an enormous amount of feed from external sources. We couldn't have a "grass-based" dairy system from December to April unless we were buying in huge volumes of alfalfa and other high quality hay that's now running upwards of $9-$15/bale, not including transportation and storage. It's hard to make the numbers work in that scenario. We also need a break. Only two of us run the farm; we don't have any interns or hired help. This three month break will give us time to focus on the soap, notecards and new skincare products we're developing. We can get the garden ready for the spring, plan and build new infrastructure for next year, and recover from our first milking season. Still plenty to do. 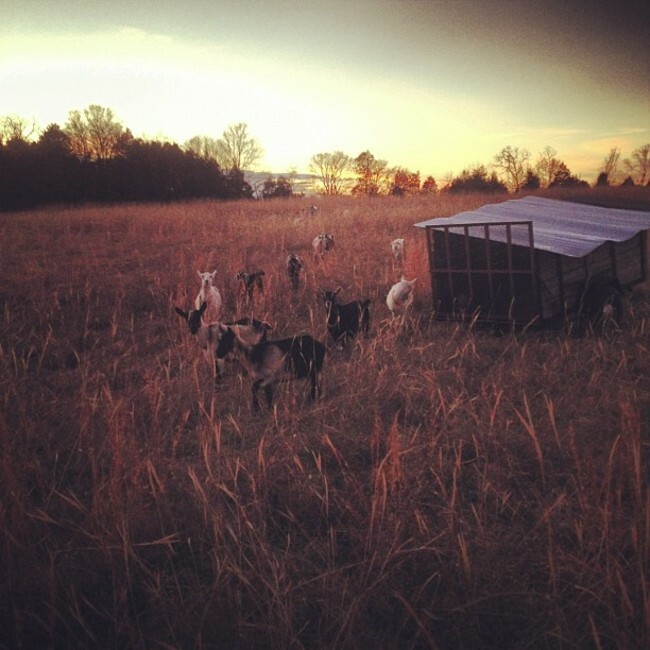 The goats need new pasture every few days and all of our normal chores remain the same; there's always something to do!